When two of the world’s greatest designers come together, you know the result is going to be unimaginably brilliant. And that is exactly what happened this time around. For those of you who aren’t aware, this designer duo first collaborated in 2015 for Sabyasachi’s collection ‘Bater’. This November 2016 has proved to us that their blend of royal Indian elegance with classic Parisian grace wasn’t just a one-time thing. This second collection will comprise of a footwear line accompanied by a set of the choicest handbags. It will involve the use of materials like cork, leather, raffia, pony hair and various techniques of intricate Indian embroidery. 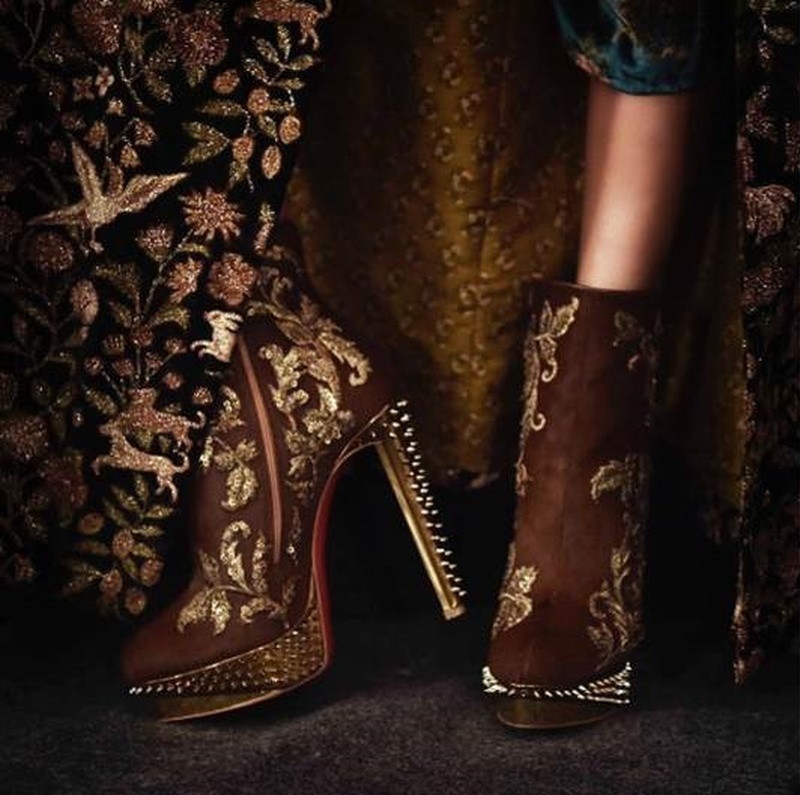 The Christian Louboutin X Sabyasachi collection will be available at Christian Louboutin stores in Delhi and Mumbai. Click here for Sabyasachi’s F/W 2016 collection.